Surrender at 20: 6/6 PBE Update: Champion Mastery on ARAM/TT testing, LCU Alpha Collection, and more! 6/6 PBE Update: Champion Mastery on ARAM/TT testing, LCU Alpha Collection, and more! The PBE has been updated! Tonight's update includes Champion Mastery for ARAM and Twisted Treeline up for testing, LCU alpha update to include the new collection tab, and more! Champion Mastery on ARAM and Twisted Treeline is now up for PBE testing! I'll keep an eye on this thread so, if you guys notice any bugs please let us know in here! Cheers PBE peeps. 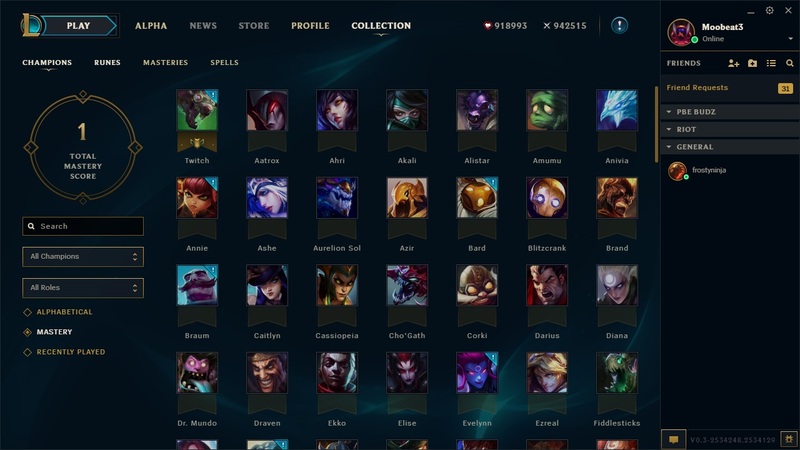 The PBE League Client Update Alpha has been updated to include the collections tabs - which shows the champions you own, runes, masteries, and summoner spells. 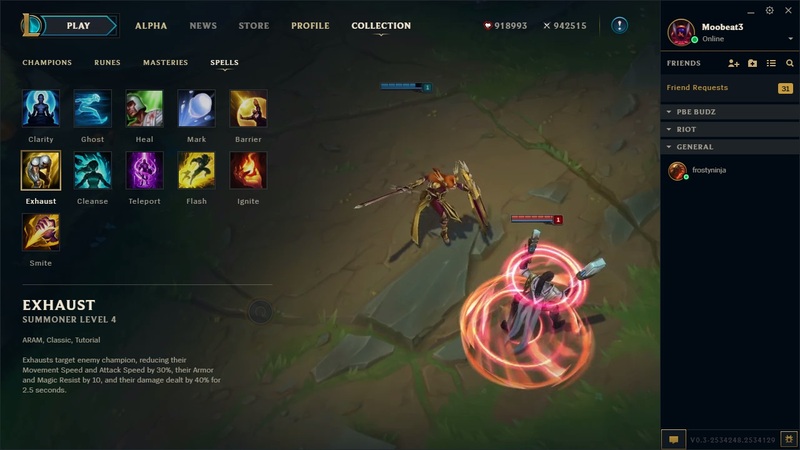 We've just pushed an update build to the PBE alpha client, and many of the areas discussed in this recent blog are now available for bug catching. Areas like champion details, match history, advanced match details, and some others will open up in a future PBE update, and for now you can check out your champion collection, runes, masteries in collection, spells, and more. Thanks for jumping in, testing it out ,and reporting any bugs you find -- we'll see you on the frontline! GLHF." As a friendly reminder, we have the League Client Update Alpha on the PBE and on LIVE atm - just like normal patches, the PBE LCU Alpha is usually gets new features or things to test a head of the Live LCU Alpha. All PBE testers have access to the PBE LCU Alpha while Live LCU Alpha testers must sign up. 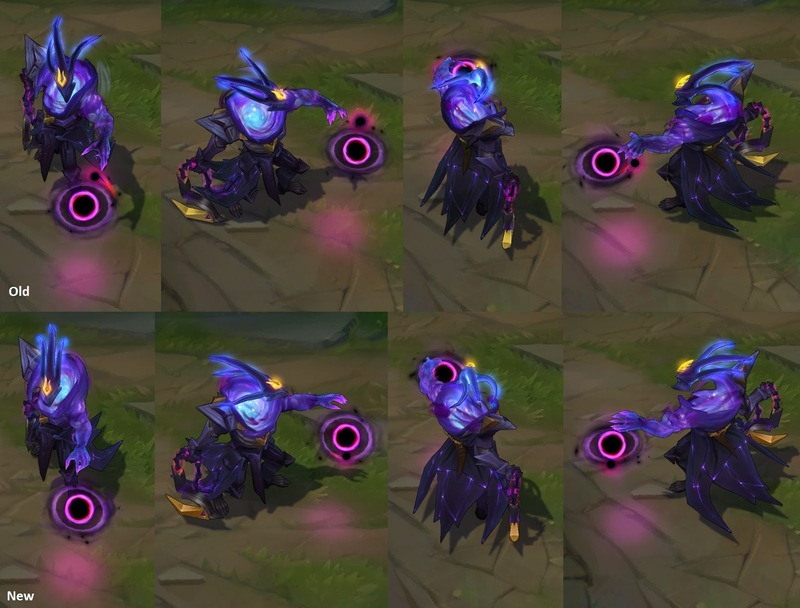 Few tweaks to Dark Star Thresh's textures, brightened up several places on his clothing and skin. 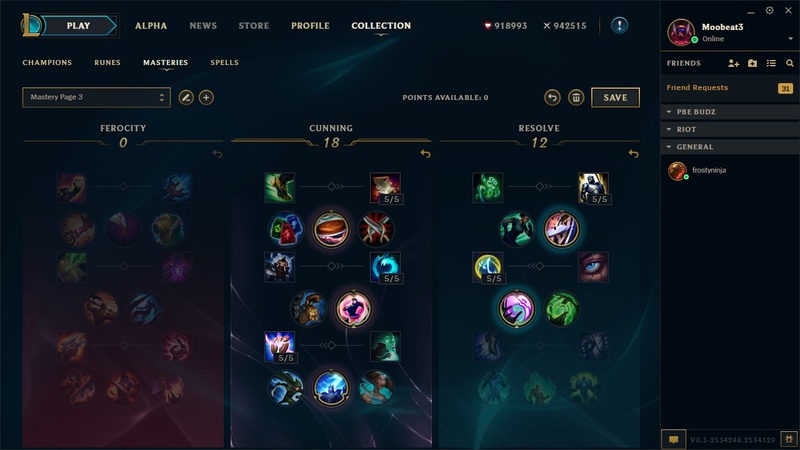 /remake strings updated slightly on PBE. 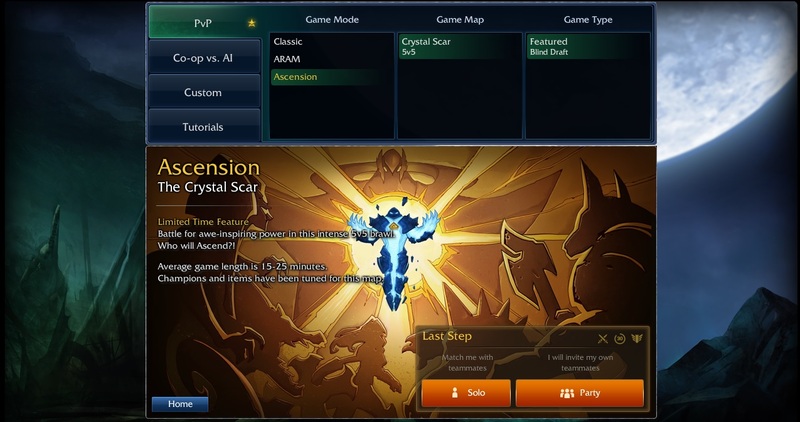 As of 6/6, Ascension game mode is back up on the PBE for continued RGMQ testing. Price REVERTED to 3400 from 3250. 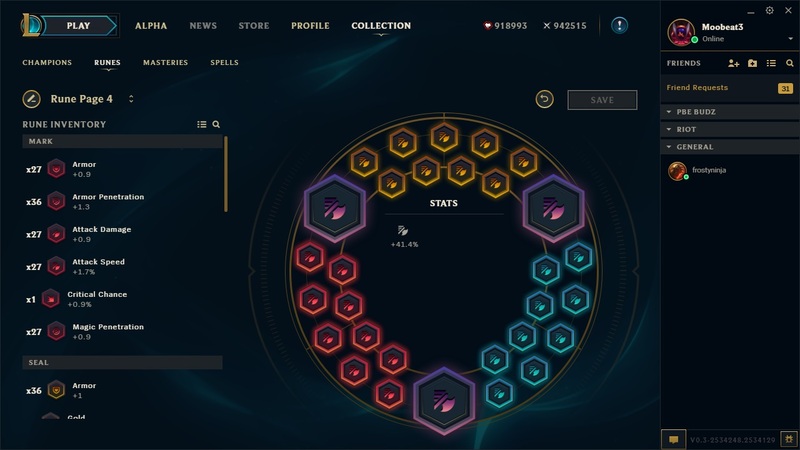 2 second cooldown for ability hits adding a stack re-added.